This table shows the correct answers to the questions for Lesson 17. 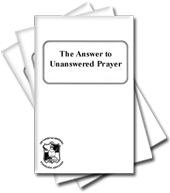 The questions are generated from the doctrine on Ten Commandments. To check the text of the doctrine for each question and answer, go to the Check Text Page. "For whosoever shall keep the whole law, and yet offend in one point he is _____ __ ____"
"And whatsoever we ask we receive of him, because we ____ ___ ____________." 18) Which of the following are related to a discussion of the 7th Commandment? c) concerned with the unlawful desire of the mind.